Wahlberg, born the youngest of nine children all living in a three bedroom apartment, dropped out of school around the age of fourteen and joined a gang. During this time, he was reportedly in trouble with the law around 20-25 times for dealing drugs and various other offenses. Things came to a head when he was 16 years old and he attacked two Vietnamese men without provocation. He attacked the first with a stick and he punched the second, permanently blinding him in the process. Wahlberg was initially charged with attempted murder, but it was later reduced to criminal contempt. After pleading guilty, he was given a two year sentence at the Deer Island House of Correction in Boston. In the end, he only had to serve 45 days in the correctional facility. This was a major turning point in his life. As he said, “As soon as I began that life of crime, there was always a voice in my head telling me I was going to end up in jail. Three of my brothers had done time. My sister went to prison so many times I lost count. Finally I was there, locked up with the kind of guys I’d always wanted to be like. Now I’d earned my stripes and I was just like them and I realized it wasn’t what I wanted at all. I’d ended up in the worst place I could possibly imagine and I never wanted to go back.” He started his turn-around by reaching out to his parish priest for guidance and support, as well as leaving the gang he was a member of. You can read more of the interesting life of Mark Wahlberg here. Famous as the least controversial “nicest” member of the Beatles, alas, Sir Paul is the only of the fab four to serve time in jail- and not once, but twice! Many are familiar with Paul’s Tokyo arrest in 1980 for trying to bring marijuana into Japan. Paul served 9 days of a 7-year sentence in a Tokyo prison. But 20 years prior, in November of 1960, a teenage Paul McCartney was briefly jailed and deported from Hamburg, Germany for alleged attempted arson. He and fellow then-Beatle, drummer Pete Best lit a condom and stuck it on the wall of their living quarters. Paul and Pete were arrested by local police and put in jail for several hours before being deported by plane. As a boy, Alfred Hitchcock’s father had a London policeman “arrest” young Alfred “for getting bad grades”. Little Alfred had to spend the night in jail. He was reportedly terrified and developed a lifelong fear and hatred of jail (and the police). Cash was arrested in 1965 while returning to the U.S. from Mexico. He was arrested at El Paso airport in Texas under suspicion of smuggling heroin. Further investigation found this to be untrue, but his guitar case was stuffed with a large amount of tranquilizers and amphetamines. He spent the night in jail and paid a $1,000 fine. A young Bill gates was arrested in Albuquerque in 1977. The circumstances are murky, but it is believed he was busted for running a stop sign and driving without a license. (He probably only spent hours in a holding cell.) Bill was also arrested in 1975 for driving without a license and in 1989 for suspicion of drunk driving charges (later reduced). 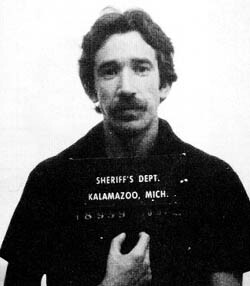 Tim Allen was once a coke dealer (Gee, he seems like such a nice guy!) Tim was busted at an airport with reportedly over a pound of cocaine. He volunteered to snitch on his cohorts as compensation for a shorter sentence. He still spent two years in a federal prison. You can find out more on the fascinating life of Tim Allen here. On June 8, 1921, Babe Ruth was arrested for speeding. He was fined $100 and locked up in jail until 4 p.m. In 1914, in St. Petersburg, Florida, baseball’s greatest hitter (and most notorious racist), Ty Cobb, claimed an African-American butcher’s clerk had insulted Mrs. Cobb over a fish she had purchased. In the ensuing encounter, Cobb broke his thumb and drew a pistol on the clerk. He was arrested and jailed for one day over the incident. Elvis’s ne’er-do-well daddy was arrested for forging a $4.00 check (he changed it to $40.00). Vernon served three years in Parchman Farm (a section of the Mississippi State Penitentiary) in 1938. Along with mother Gladys, three-and-a-half year old Elvis would often take the long bus ride from Tupelo to visit his daddy. Vernon’s jail term strongly effected little Elvis, who would sit on the porch and “cry his eyes out” for his daddy. In 1989, Zsa Zsa was charged with assault of a police officer after slapping officer Paul Kramer in Beverly Hills. It was basically just a traffic stop, but Zsa Zsa took great offense at her treatment. She was also charged with driving without a license and carrying an open container of alcohol (a flask of Jack Daniels) in her $215,000 Rolls-Royce. She spent 3 days in jail and paid $13,000 in court fees. “He deserved the slap”, said Zsa Zsa after the incident. Young Mitchum was a real hell-raiser as a kid. At the age of 12, he was thrown out of school for fighting with the principal. At 14, he was arrested for vagrancy and put on a chain gang (for vagrancy? At 14??) Escaping, Mitchum went to California, where he did a series of odd jobs and later became a movie star. In 1948, Mitchum was jailed for the then then “notorious” crime of smoking marijuana with actress Lila Leeds. He served 60 days in jail. Harpo Marx, the Silent Marx brother, was going to a costume party dressed as a knight, completely encased in a suit of armor. He got lost going to the party and was arrested for vagrancy while walking around trying to find the party. On top of that problem, the front opening of poor Harpo’s armor head was stuck shut, which made it difficult to communicate or be recognized. He was jailed by police for a few hours before he could clarify his strange circumstances. Harpo’s older brother, Chico, was once arrested for jaywalking. He argued a little too strenuously with the officer and was promptly thrown in the clink. William Sydney Porter, the future famous short story writer, was convicted of embezzlement while working as bank teller in 1894. While serving his prison time, Porter took on the pen (no pun intended) name “O. Henry”. Several theories exist as to the derivation of his name, but it is commonly thought to be derived from a guard named Orrin Henry. Another theory has O. Henry being short for “Ohio Penitentiary”. There were some surprises for me on that list. I always kind of assumed that Vernon Presley was a model parent. Tim Allen, based on his many tv and movie characters seems such a straight shooter too! The biggest surprise for me though was Bill Gates, I would have thought he was such a goody-two-shoes! In fact, Mark Wahlberg did not blind the Vietnamese gentleman, although Mark believed he did at the time. The man was already blind in one eye before the attack. Mark recently asked for and was given forgiveness by the man for the attack. I mean no disrespect as I write this, but the information written about Vernon Presley is incorrect. Vernon, along with two other men, changed a check written to them by my great-uncle, Orville Bean, from a $3.00 to an $8.00. Back in the 30’s though, that $5.00 was around $85.00 in today’s money. Forgery/stealing in northeast Mississippi has never been well thought of, but to his credit, my great-uncle did have a change of heart and wrote a letter helping facilitate Vernon’s release. Neither Vernon nor Elvis had any bitterness towards my family, and after becoming famous, Elvis visited my great-aunt and her step-daughter, Oleta (Bean) Grimes (the teacher who encouraged Elvis to enter a talent contest), on several occasions. Also, Johnny Cash was not arrested just the one time. I believe there were several, and I know for a fact he was arrested in Starkville, MS – either in the 60’s or 70’s after a show. The charge was related to picking flowers while either stoned or intoxicated. I know this because he called one of my mother’s bosses of Seminole Mfg. Co., whom he had met at a party . I believe that was Mr. Forrester, but I am not certain. Johnny asked to be bailed out of jail, and he was. I am certain that happened. Geez, does anyone want to leave anything besides a correction? (I see the first guy did.) Very enjoyable article, interesting and well written, as is just about everything else on this site. I think I’ll subscribe!